ROMAIN CURTIS AND PAUL CAYROL PRESENT SLIDEBACK !Fresh from various banger releases on Strictly Rhythm, Spinnin, Cr2, Big love... with prestigious DJ residencies on t heir own, get t ing t heir groove worldwide and playing along with internat ional superstars, French duo Romain Curtis and Paul Cayrol are established as House Music Artists for more than 10 years. Joining their force in 2010, they started with a first Hit, 'Estrella', released on house music label leader 'Cr2 Records', topping the beatport charts, supported from some of best Dj's around t he world. The Duo Hit s back in 2011 wit h 'Santiago', a hefty portion of hyped-out Tech House released on American Legendary Label 'Strictly Rhythm', including a remix from Italian rising Star NDKJ himself. 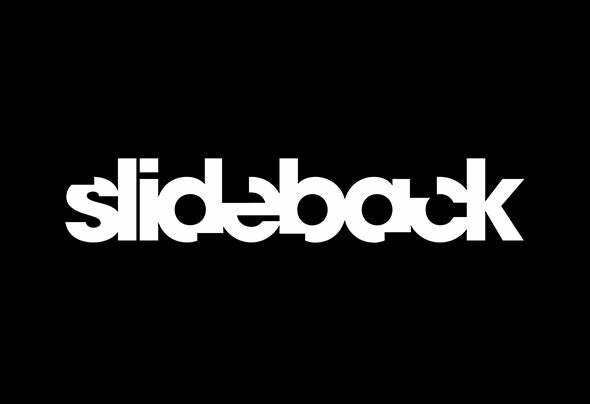 They are back in 2013 under the band name SLIDEBACK with "Strum it", to be release on Hotfingers records ! Paul Vinx, USB Players, TFX, Orson Welsh, Barry Obzee, Lawrence Friend, Slideback, Patrick Hofmann, Gonzak, Gordon John, Chris Montana, Vinylsurfer, Luke Db, Frystal DJ, DJ Jurgen, DeLeau, Beedeep, The Ironix, Philip Braun, Art Alive, Niels Van Gogh, Dave Ramone, Troj, Benny Camaro, Modium, The Henchmen, John De Mark, Akil Wingate, Eddie Amador, Dany Cohiba, Fisher & Fiebak, Mat Holtmann, DJ Stephen, Paco Caniza, A Squared Theory, Matan Caspi, Miss Luna, Q Derhino, Francesco Diaz, Karl Frierson, Marcus Gauntlett, Kiki Doll, Damon Grey, DJ Marlon, Honeywell, Alex Seda, Celeste Siam, Black Legend Project, David Vissen, John Hertz, DMC, Absolut Groovers, Michael Murica, Lucy Clarke, Ashley Izco, David Jimenez, Matt Caseli, Errol Reid, Moussa Clarke, John Ashby, Steve Kid, Kid Massive, Blacktron, Dominik Koislmeyer, John Lorv's, Funknow, Dennis Ramoon, Subcquence, Davidson Ospina, George Morel, Popcorn Poppers, Lucas Reyes, Dave Rose, Oscar Cano, A.C.N.